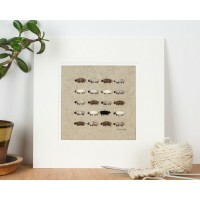 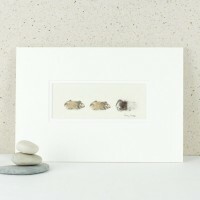 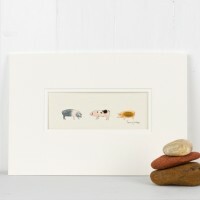 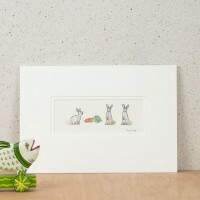 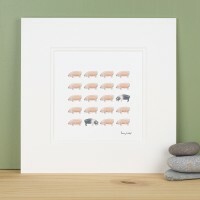 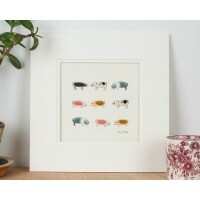 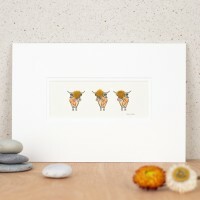 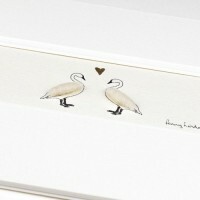 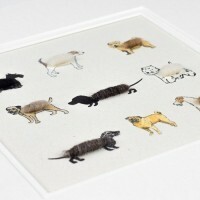 Here you can find a host of quirky animal art prints, designed to make you smile. 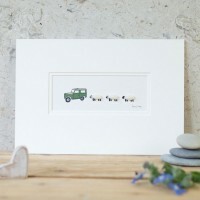 Hand finished with real sheep's wool, they are 3D, adorable and desirable. 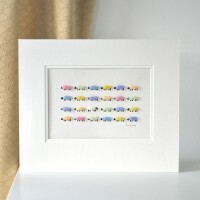 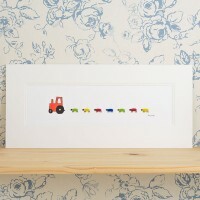 We supply the prints in a double mount ready for framing, but we are happy to frame them too. 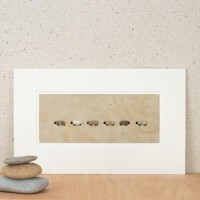 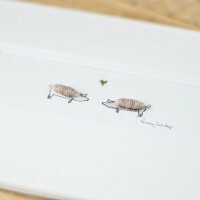 We are also able to personalise them for you, with a simple one line of text, handwritten in pencil beneath the image. 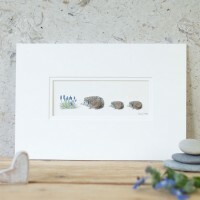 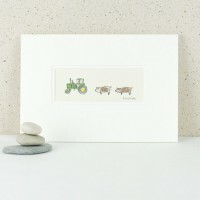 Our hedgehogs and flowers print is a charming, amusing and unusual, print of 3 hedgehogs with some g..
Our hedgehogs print with 3 hedgehogs is a charming, amusing and unusual, print and would be a d..
Our John Deere and woolly sheep print features a classic John Deere followed by 4 natural colou..
Our land Rover and 3 woolly sheep print is a popular gift for farmers, shepherds and anyone who ..
Our Land Rover and woolly sheep print features a classic green Land Rover followed by 4 natural..
Our natural flock of sheep picture is a classic from Penny Lindop with a flock of 24 woolly sheep - ..
Our natural flock of sheep print in this square format is always a popular choice from our designs..
Our natural sheep print, all in a row, is a classic from the Penny Lindop Designs studio. 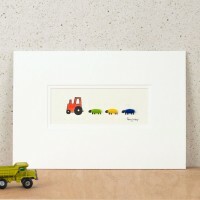 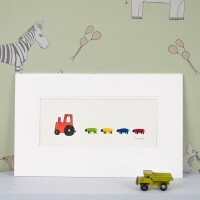 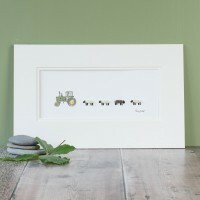 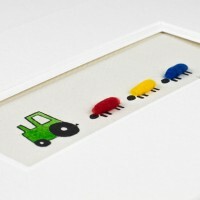 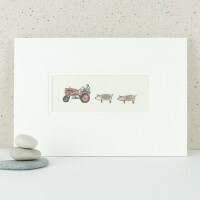 ..
Our green nursery tractor and sheep print is a lovely gift for a newborn, or as a Christening g..
Our red nursery tractor and sheep print is a lovely gift for a newborn, or as a Christening gif..
We're very pleased that we can now offer our nursery tractor and sheep print in this larger and long..
One of our most popular pictures for a young boy is this nursery tractor print with a red tractor an..
We love this longer size and are pleased to be able to offe our oak tree and sheep print in this lar..
Our oak tree and sheep print is a perfect gift for a shepherd, or sheep lover. 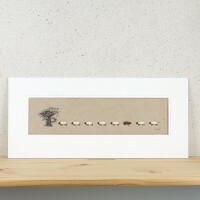 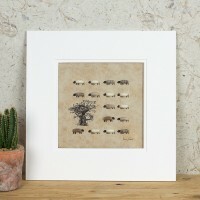 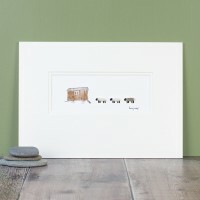 This splendid old oak..
We love our soft pastel woolly sheep print with its 4 fluffy sheep. 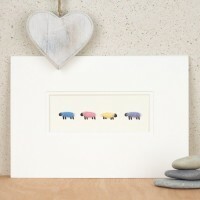 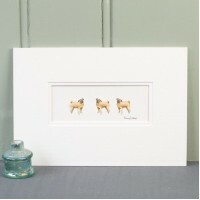 Soft and calming..
Our pastel flock of sheep picture is a classic from Penny Lindop with a flock of 24 woolly shee.. 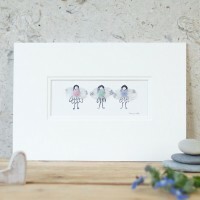 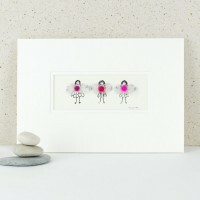 This delightful pastel fluffy fairies picture is a perfect picture to grace a little girl'.. 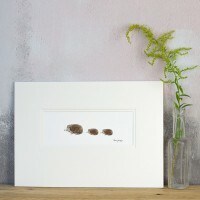 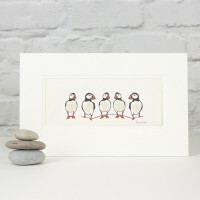 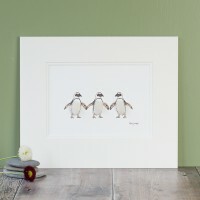 This penguin print is beautiful in it's simplicity; 3 fluffy Jackass penguins, all hand finished wit.. 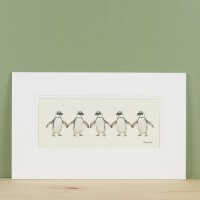 Here is our take on the Jackass penguin, penguins print, 5 Jackass penguins in a row. 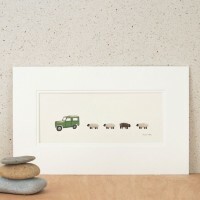 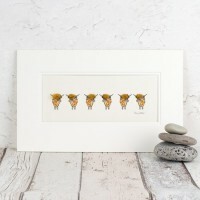 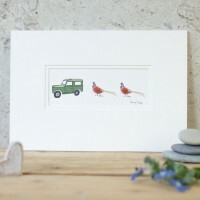 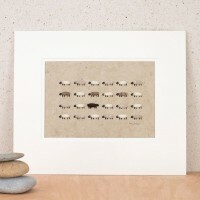 Each..
Our pheasants and Land Rover print is from our range of gifts for men - a selection of animals that .. 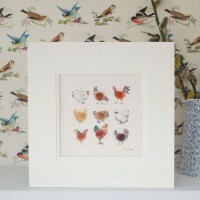 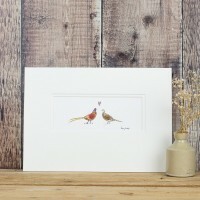 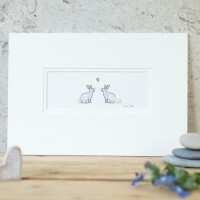 This gorgeous pheasants in love print makes a lovely gift for a special occasion - a wedding or anni.. 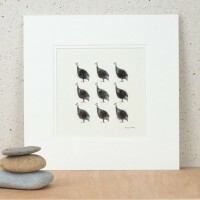 This gorgeous pheasants print makes a lovely gift for men. 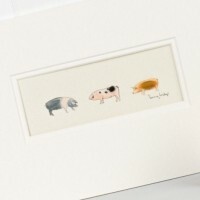 Printed from an original sketch by Penny,..
Our guinea pigs picture, with its 3 woolly guinea pigs, will delight anyone wh..
Our pink fluffy fairies picture is a perfect small picture to hang in a youn..
You will love our print of woolly sheep and shepherd's hut if you have any connection with ..
Our puffins print, with 3 puffins in a row, is a charming reminder of a holiday spent by the sea wat..
Our puffins print, 5 in a row, is one of our most popular designs, and this has to be due to the cha..
Our pug dogs print of 3 fluffy pugs is adorable and makes a lovely gift for pug dog owne.. 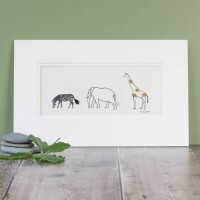 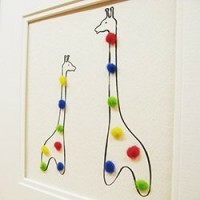 Here we offer you our safari animal print with an elephant, zebra and giraffe, each with it's own fl..